The office will be closed from Friday 19 April to Monday 22 April. The office will re-open on Tuesday 23 April 2019. Orders placed on the website during these dates will not be processed until Tuesday 23 April 2019. Wow! 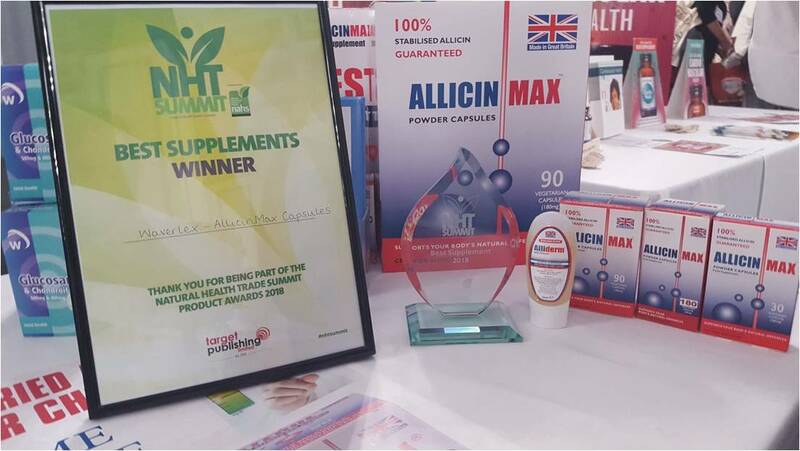 AllicinMax was voted Best Supplement at the Health Food Business magazine NHT Summit in October 2018! What an honour to win an award voted for by our peers in the industry. Thank you to everyone that came to see us and to all those that voted for us. It means an awful lot to have your support. All parcels being delivered to Canada are being stopped and checked by Canada Post and Border Force. All parcels are currently subject to a 30 to 35 day delay from the date of arrival in Canada. 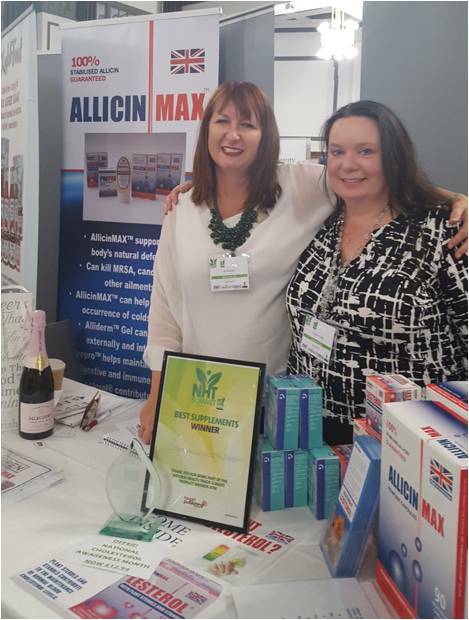 Allicin International Limited (AIL) is a pioneering developer of products for the health food industry. We are dedicated to identifying useful products made from natural organic sources especially garlic. Our aim is to provide natural products for improving the quality of life for people, plants and animals. We carry out in-vitro research and in-vivo studies and have a history of lodging successful patents. AIL has pioneered a process of stabilising allicin, the active component of garlic. 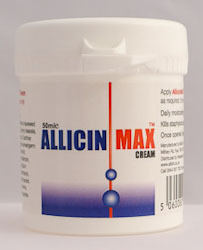 We have developed a range of allicin based health products which are sold across the world in more than 30 countries. 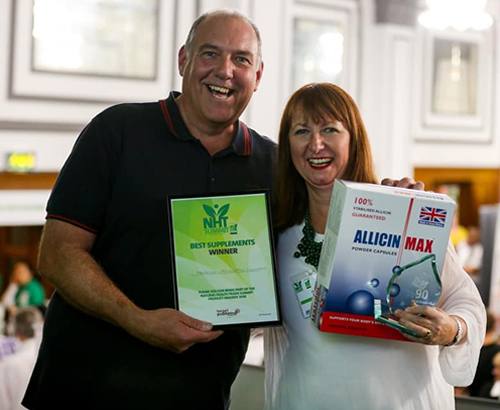 Our products are sold by knowledgeable retailers and resellers worldwide, who receive bespoke training, education and presentations on our product range. This allows the retailers and resellers to provide informed support to their customers. If you wish to consider being a reseller, please contact us. Click here to see our current locations. 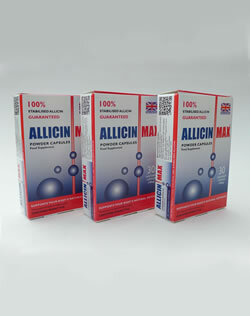 Each AllicinMax pack contains 30 size 3 VegiCap capsules in foil-sealed packets. Size 3 capsule 180mg allicin powder. Each AllicinMax pack contains 90 size 3 VegiCap capsules in foil-sealed packets. High quality Glucosamine Sulphate and Chondroitin available in capsule form. Ecommerce website © FAT promotions 2012. All rights reserved.